So here I am, new year, new blog. You can catch up on my old musing HERE. After attending Blog Podium last weekend I have decided to revamp my brand and give it a real go. I have been thinking about starting my own little deign business for a long time and I will keep you updated with the happenings. What really got me in gear was seeing a posting on a pole at Queen st. and Bathurst St. calling out for artists and designers for a weekend market called “the spot“. I have been toying with the idea of creating a designer market for quite some time – so I took the little email address hanging from the bottom of the sign and decided to follow up on it – see how someone else does it. I was at first apprehensive because there was not a lot of content about this market and they asked to send money via paypal to an email address – after several conversations with the market organizers I felt comfortable to go ahead and wire the money. I am so glad I did. First of all I don’t care how much it cost to be a part of this market – nothing could give me the same feeling as becoming motivated again to create my own things. I have been planning projects for a while and am beginning to make them a reality. 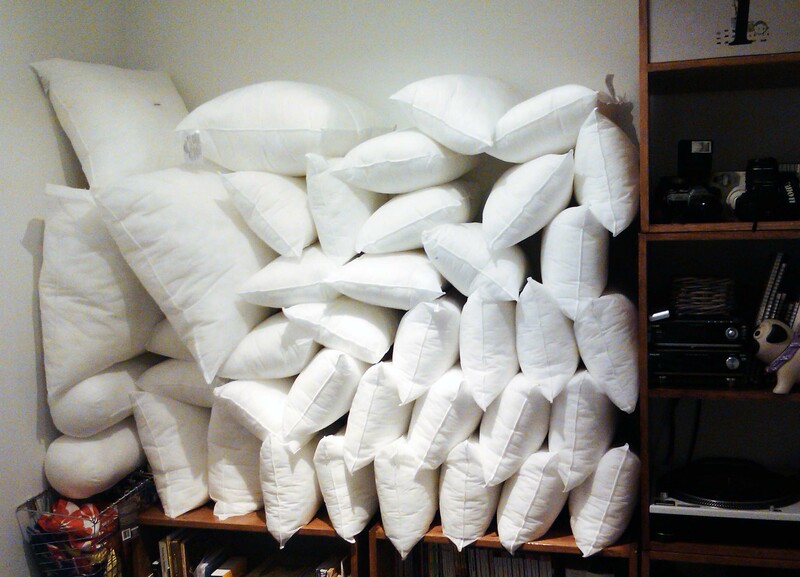 Above you can see I have ordered my pillows for the market. I won’t bore you with details right now – I am going to head up to the market as today is their opening day! I will post pictures tomorrow for you all to see!